You've got a long day ahead of you. So, why not be proactive with inserts that will support you through all those long hours? 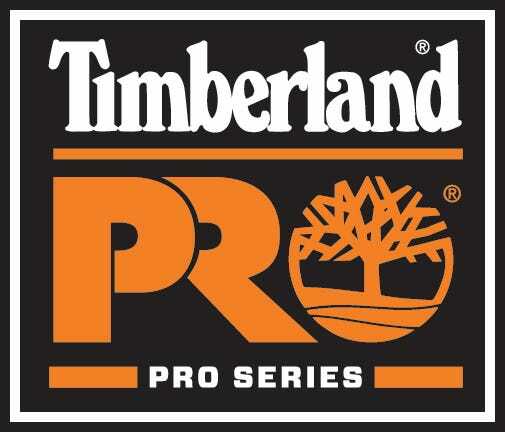 Timberland Pro Orange and Black 91621 Anti-Fatigue Ortholite Insoles offer all day support to ward away fatigue and keep you working at you ... (see full details) (see specifications) #TMBTB091621827. You've got a long day ahead of you. So, why not be proactive with inserts that will support you through all those long hours? Timberland Pro Orange and Black 91621 Anti-Fatigue Ortholite Insoles offer all day support to ward away fatigue and keep you working at your best. Anti-fatigue technology features an inverted cone design that delivers lightweight but durable support when you wear these Timberland Pro insoles. The system keeps the impact of the terrain from abusing your feet with shock-absorbing, energy-returning technology. The top layer of these anti-fatigue insoles features OrthoLite, which gives you both padded support and comfort, as well as moisture management. An anatomically-contoured footbed cradles your feet from heel to toe to give you all-day support while wearing these work boot insoles. There’s also a dynamic arch design that keeps this tender area of your feet from feeling the brunt of hard surfaces. Plus, these insoles are designed to adapt to all foot shapes. The Outlast top cover keeps the temperature inside your shoes regulated and keeps odor at bay with antimicrobial technology. Insert these Timberland Pro Orange and Black 91621 Anti-Fatigue OrthoLite Insoles into your shoes and experience the difference of all-day support. Heck, load a few in your cart so you can put them in all your shoes - for comfort that stretches from the work floor to the weekend. Ok will start off by saying timberland makes the number two boot around in my eyes. With that said I needed a little extra support in my timberland miners which are very comfortable to start with but man these timberland inserts made the miners even better. I compare the feel to a over priced basketball shoe or even a running tennis shoe. Yes a boot that feels like a tennis shoe, well except for the weight that is. I can ware the miners all day with no complaints. My feet love these insoles to say the least but for the review I had to put 300 words. I have been using insoles for about 25 years-the Timberland Pro Insoles are fantastic.....I have used Spenco products and Dr. Scholls yet they sure were not made like these Timberland's.I put them on my running shoes and they fit inside the shoe after trimming them. I can tell you this is a great product and it's not just for boots. They have little bumps in the outsole that supports the shock your feet experience with everyday walking. My feet are in Heaven! Thnx, WorkingPerson'sStore.com. I am definetly your new customer! Work as advertised. I no longer have fatigue in my feet at the end of the day. The boots I purchased did not have anti-fatigue insoles. Bought these. Made a world of difference. I would recommend. I work in the outdoors and tend to walk 3 - 6 miles per day. I purchased these a couple of times now and they work for awhile but I've only received 6 - 9 months and start to think of replacing them. They are much better than the OEM insoles. I have tried many of the top brands of insoles and rate them in the top 5. I would purchase these Timberland Pro insoles again. Timberland Pro Insoles: 91621 Anti-Fatigue OrthoLite Orange/Black Boot Insoles is being added to your cart.